I have less grey hair now than before Christmas break. I failed this week while teaching. I predicted (correctly) the winner of the 2016 Caldecott Medal book. Think you know? I’ll bet you don’t! 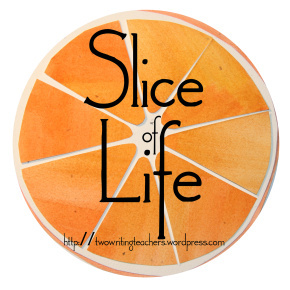 Slice of Life Tuesdays are sponsored by Two Writing Teachers. Check them out at www.twowritingteachers.wordpress.com. Thank you, Stacey, Betsy, Dana, Tara, Beth, Anna, Kathleen, and Deb so much for your support of teachers, awesome literacy learning, and writing! Join us this year for some writing fun! #3 ? That’s my guess. I think your lie is less grey hair than before Christmas break – it’s SO crazy at this time of year for hair therapy!! I’m going for 3 too. So many choices, how could one predict correctly? I think #1 and #2 are the truths and #3 is the lie. Am I right? Am I right? #3 seems the obvious choice. But, I’m guessing you didn’t go with the obvious. Or maybe your are…. I’ll go with #1.